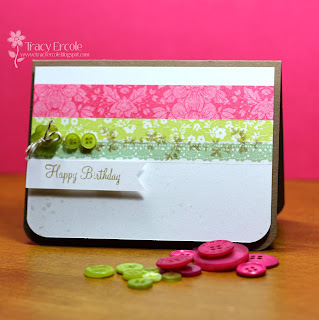 I set out to make a quick card before the Jay Gee's Nook Challenge closed, and even though it is a simple card, it didn't go well and took a lot longer than I thought it would. Even though I'm not very happy with it, I will still put it in the challenge, at least I got to make a card! Cute card, Tracy. Love the pink and green and the touch with the buttons! 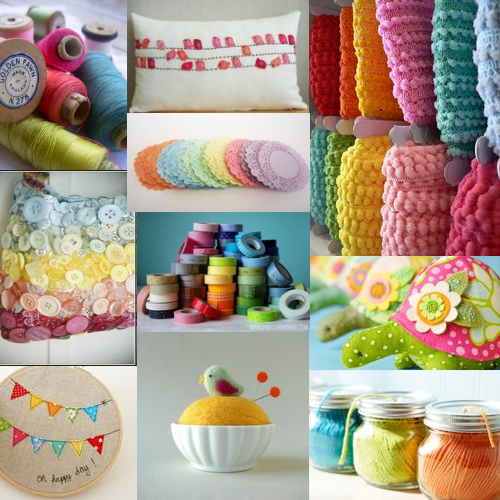 (I love buttons). I think simple cards have an understated elegance about them. Just Lovely. Anyone would enjoy receiving this gem. Hi, thanks for the nice comment. No it's not patterned strips, I used tape from the Dear Lizzy collection, enchanted wish. Very pretty tape, I probably didn't do it justice on this card though. Congratulations for winning! Card is awesome! This is gorgeous Tracy! 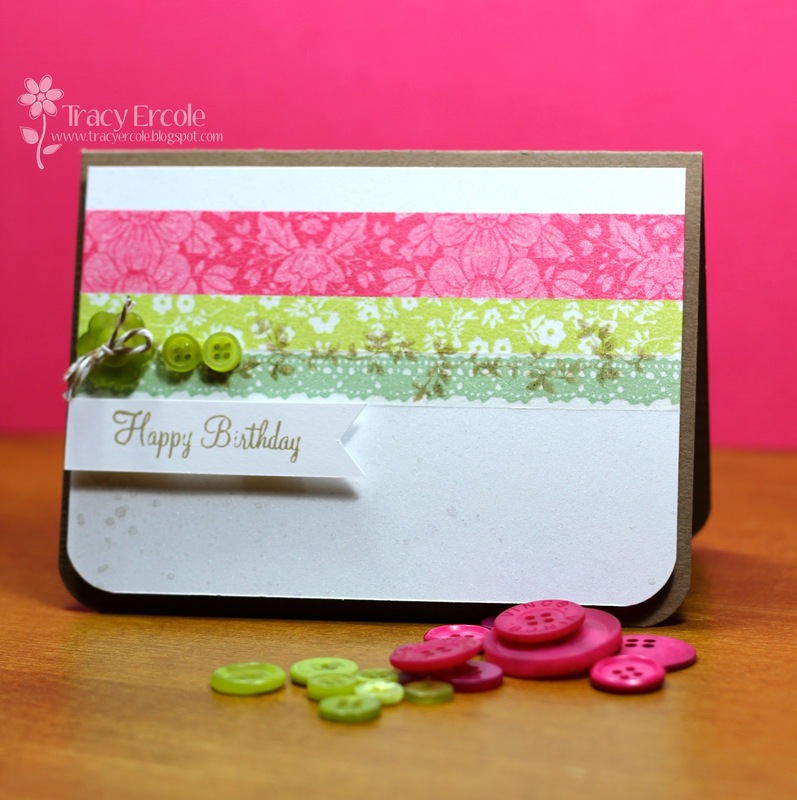 I love that colour combo and the card you've created is so sweet. I love this card, Tracy. Those strips of color are so vibrant and pretty. I left you a little something on my blog today. No worries if you don't participate in blog awards. I just wanted to shout out that I love your blog. :) Ann Y.